Small HZS25, HZS35 concrete mixing station, HZS50 models, such as feeding way is divided into manual feeding and automatic feeding two kinds, the structure of the station itself is more, so when the choice, don’t need to pursue the best, the most perfect, but can be the most appropriate, the most economical, the highest efficiency.On some large engineering production, very tall to the requirement of concrete mixing station, but the choice of some specifications, buyers, is so not the bigger the better, but need to choose whether or not according to the actual quantity can meet the engineering production, help to promote project progress, etc., as long as these have been achieved, certainly can achieve output. 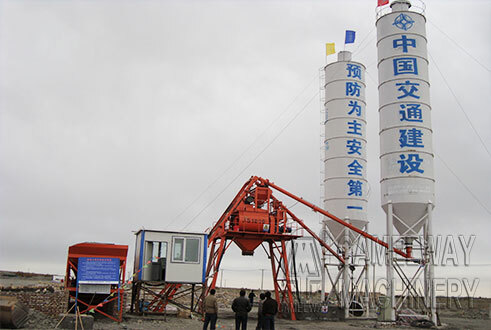 With the needs of the market, investment is more and more concrete mixing station, a headache, when investment concrete equipment of different manufacturers the price of the product is also vary widely.So what is the cause of this phenomenon? 3, its degree of automation equipment.Fully automatic is much higher than ordinary equipment.Generally the more manpower cost, then it is mechanical relative cheaper.From long term goals to consider more savings group of automatic equipment.